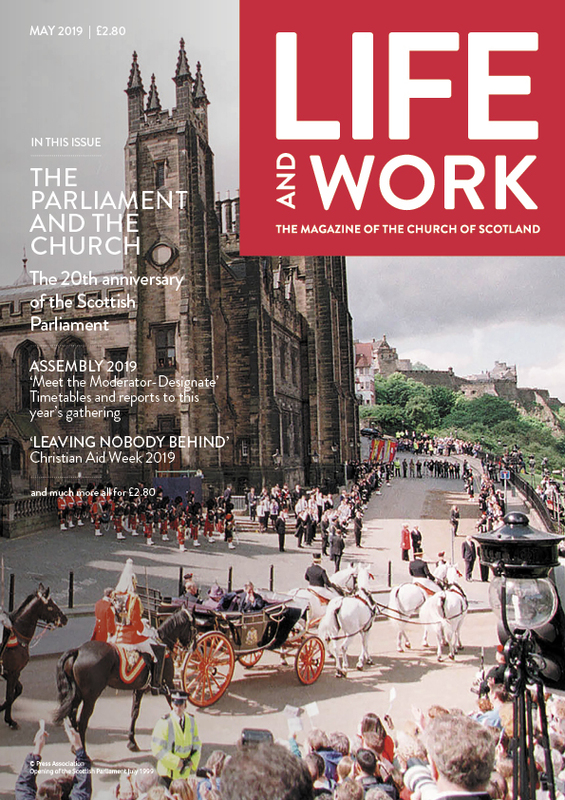 Life and Work is the magazine of the Church of Scotland. In a history spanning over 140 years, it has established itself as the voice of the Church of Scotland. Though firmly rooted in the affairs of the Kirk, it also aims to cover a broad range of subjects of interest to church-goers across the spectrum from international affairs and British political and social issues to science, ethics and the arts. Each monthly issue includes a forum for views on current social and moral issues, a monthly meditation and regular articles on the spiritual side of life, reviews of the latest books, videos and Christian resources, and regular features on the Church worldwide. Our subscription service offers you the convenience of having Life and Work magazine delivered direct to your door or any digital device; you can also arrange a gift subscription. Free Gaelic supplements are also available. Visit the Life and Work website for regular news and exclusive features, and find us on Facebook and Twitter. As the humble donkey takes centre stage on Palm Sunday, Jackie Macadam focuses on the stories of the animals in the Bible. One of the magazine's most important elements is reader feedback. Our letters pages are among the liveliest in the magazine business, and are very revealing about general attitudes both within and beyond the Church. We actively encourage letters, but do ask that they are kept succinct (and not without humour), so we can publish as many as possible.